Observe na figura abaixo dois fluxos correndo em paralelo e isso lembra os dois fluxos do circuito na face esquerda da fórmula da Matrix/DNA. Uma possibilidade é que o fluxo maligno acontece devido quando o fluxo benigno vem da esquerda, ao invés de se tornar F5 e ir para F1, segue adiante indo para F6 e face direita. Se for isso, a figura estaria se referindo a face direita, o que suscita suspeita que entropia esteja envolvida como causa cancerigena. (A) Hmga2 acts as a natural microRNA sponge for the let-7 family, which also targets Tgfbr3. An increase in Hmga2 transcript levels and hence ceRNA activity results in a concomitant increase in Tgfbr3 levels. (B) Hmga2 also regulates the expression of five other target genes via ceRNA crosstalk as well as through Tgfbr3/TGF-β-mediated transcriptional control. 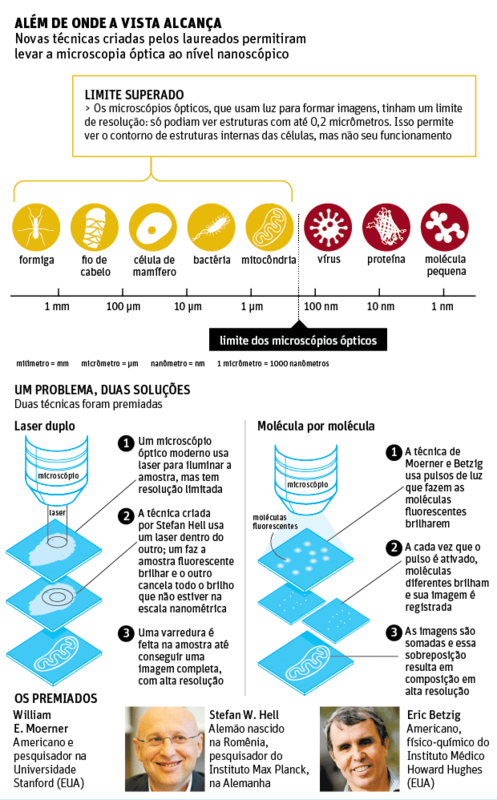 Como é que a primeira célula se multiplicou? Pesquisar isto para resolver como os sistemas astronomicos se multiplicam. 1) The first stage of life stars similar to the Sun-it is dominated by the reaction of the hydrogen cycle. Temperature goes star is determined by its mass and degree of gravitational contraction, which is opposed mainly by light pressure. The star forms a relatively stable oscillating system, its periodic weak compression and expansion are stellar cycles. the hydrogen burn-out in the center of the star, the helium core cools down, and the area of synthesis reaction moves to the peripherals. the star of “swells”, absorbing the planet of its system, and cools down, becoming a red giant. Further compression of the helium nucleus raises its temperature before ignition of the reactions of the helium loop. The hydrogen shell gradually dissipates, forming stellar Nebula, and heavily compressed kernel is heated to high temperatures, the illumination of blue-white light (“white dwarf“). as the fuel burn-out star fades away, turning into a sustainable “black dwarf” is a typical outcome of the evolution of most of the stars with a mass of the Sun. 2) As a rule, the Galaxy has two spiral branches originating in opposite locations, developing similar symmetrical way and lost in opposite areas of the periphery of the Galaxy. This event is a milestone for the broad community that PLOS Computational Biology represents. Along with Philip E. Bourne, the Founding Editor-in-Chief, and our Editorial Board, which proudly lists Michael Levitt among its members, I extend the warmest congratulations to the winners. Beyond the specific, personal scientific achievements that have already been widely discussed, we must consider the more general and broader context of this unique prize. Here, I would like to present this Nobel Prize within this framework, emphasizing its magnitude and far-reaching implications not only for computational biology, but for the biological community at large. In recent decades, molecular biology has progressed by leaps and bounds. Huge technological advances have taken place in sequencing; in mapping structure and dynamics via electron microscopy (EM), X-ray, and nuclear magnetic resonance (NMR); in manipulating imaging of nuclei and cells; in sequencing single biomolecules; and more. These have led to fundamental new insights; biology and medicine have soared to new heights with the DNA double helix providing the molecular basis for genetics and Darwinism. Many steps were required to identify and untangle DNA-RNA-protein sequence-structure-function and reverse transcription processes; RNA enzymes; the importance of key multi-partnered scaffolding molecules under normal physiological conditions and in disease; their structures, mutations, and the principles and mechanisms of their dynamic regulation; and other landmark developments. These involved technological breakthroughs and greater understanding of the specific mechanisms involved. Most of the Nobel prizes in chemistry and medicine in recent years have been awarded at these junctures. Vast amounts of information on sequences and structures are yet to be explained and pose a challenge for computational biology. Recently, this has been compounded by interdisciplinary studies of the nervous system, posing questions such as how it is structured, how it develops, how it works, the mechanisms of signal processing, and more, all at multiple levels, ranging from the molecular and cellular levels to the systems and cognitive levels. Thus, even if we gain in-depth insight into static properties such as the genomic data and structural snapshots of proteins (DNA and RNA) at different levels of resolution, the truly monumental challenge of understanding their dynamics still looms ahead. And eventually, it is the dynamics of molecules that provides the basis for cells, tissues, and organisms’ development and work. The systems in question operate at all scales: force fields and free energy landscapes relevant for protein folding and function, large complexes, biomolecular recognition involving proteins, DNA, RNA, lipids, post-translational (and DNA) modifications, and interactions with small molecules. On a larger scale we see cellular locomotion, cell division and trafficking, and cell-cell recognition. Furthermore, beyond these lurks the working of the complex cell as a cohesive unit: the cellular network controls metabolism and regulation, intra- and inter-cellular signaling, and the neural circuits of nerve cells, where the activity of one cell directly influences many others. All are dynamic, all change with the cellular environment, and all present a daunting challenge. The relevant timescales range from femtosecond for simple chemical reactions to the eons of evolution; however, all operate with the same underlying physical principles of conformational variability and selection. At each timescale and corresponding physical size we strive to identify the relevant moving parts and degrees of freedom and to formulate effective—though often approximate—rules for their mutual interactions and resulting motion. Solving, understanding, and computing the dynamic behavior at any given scale is of great interest in its own right and provides approximate dynamical input for the next scale, which is one rung above it. Only at the lowest, most basic scale of individual atoms and electrons are the dynamical rules (electrostatics and Schrödinger’s equation) completely well defined. And the all-important work cited by the Nobel Prize Committee and which is carried out by our community is roughly at the first/second level, making it of fundamental importance. This Nobel Prize is the first given to work in computational biology, indicating that the field has matured and is on a par with experimental biology. It may also be the very first prize given in any area of the exact sciences for calculations. What is different in the present case? I believe that the answer is simple: the present calculations are of much greater interest to a much broader community. In endeavoring to imitate the basic processes of life in silico, great strides are being made toward understanding the secret of life. Computational biology, and simulations, for which Martin Karplus, Michael Levitt, and Arieh Warshal shared the Nobel Prize, can carry the torch leading the sciences to decipher the elemental processes and help alleviate human suffering. What are the challenges ahead? Are simulations with timescales of microseconds, milliseconds, or beyond, under the current force field framework, capable of producing results in agreement with experiments also for large and complex proteins like membrane receptors? Do the challenges also lie in the type of questions which are asked, for which such long timescale simulations can be useful in providing answers? Or is it the biology behind the questions that is also the key? Ultimately, as in experimental biology which also exploits methods and machines, it is likely to be all of the above. Computations are our treasured tool; they are not our aim. Merely running long molecular dynamics trajectories is unlikely to advance science. Researchers found, for example, that nearly everyone routinely carries pathogens, microorganisms known to cause illnesses. In healthy individuals, however, pathogens cause no disease; they simply coexist with their host and the rest of the human microbiome, the collection of all microorganisms living in the human body. Researchers must now figure out why some pathogens turn deadly and under what conditions, likely revising current concepts of how microorganisms cause disease.